A graduate of the Warsaw School of Economics, Foreign Trade Faculty. Also completed a post-graduate course in Investment Banking - London Guildhall University and Banking Academy in Gdańsk. In 1994 he obtained a stockbroker’s licence. In 1994 - 1997 he was employed in Capital Operations Centre of Bank Handlowy w Warszawie SA, while in 1997 - 2003 worked for Societe Generale Securities Polska as Member of the Management Board (1997 - 1998) and President of the Management Board (1999 - 2003). In 2003 - 2005 he was an advisor for Enterprise Investors, and in 2004 - 2005 partner in Investor Relations Partners. In 2005 he counseled for the Management Board of Orbis SA. Since 2005 worked for Unicredit CAIB group as President of the Management Board of IR Services sp. z o.o., since 2006 as Managing Director of Unicredit Markets & Investment Banking. In 2008 - 2011 he was on the management board of Wydawnictwa Szkolne i Pedagogiczne S.A. (WSiP). In 2011 - 2015, Vice President and President of Management Board of lncentive Solutions Polska. At present he conducts activity in business consulting. He was chairman of supervisory boards of companies in WSiP Group -Alfa Logis, logistics operator, and Zielona Sowa, editorial office. Also, he was on the supervisory boards of Fasing SA Group, Elektrim Telekomunikacja Sp. z o.o., Cersanit S.A., WSiP S.A., Magellan S.A., Echo lnvestment S.A.
At present he is on supervisory boards of Mercor S.A. and Prochem S.A. as vice chairman and chairman of their audit committees, and Sanok Rubber Company S.A., BBI Development S.A., and Prochem S.A. as a member of their supervisory boards. Karol Żbikowski has submitted a statement that he meets the independence criteria specified in the Act of 11 May 2017 on statutory auditors, audit firms and public oversight. Member of the Supervisory Board of ELEKTROBUDOWA SA since 24 April 2008. Graduated from the Poznan University of Technology with the diploma of MSc in Construction Engineering in 1990. In 1991 he obtained a stockbroker’s licence, while in 1995 an investment adviser’s licence. Completed also a number of courses in financial risk management, pension funds management, derivative instruments and in Polish and foreign bond markets. 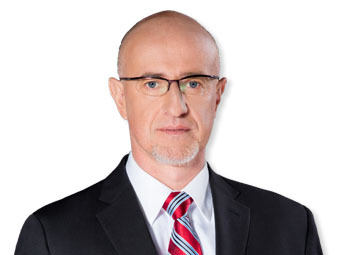 He started his career in 1991 as commodity exchange broker in Poznańska Giełda Kapitałowa, then in Wielkopolski Dom Maklerski SA. In 1992 - 1994, in the brokerage of Pomorski Bank Kredytowy SA, first as broker then Head of Secondary Market Team and Head of Investment Team. In 1995, analyst in Creditanstalt Securities SA. From 1995 to 1998 - fund manager in Towarzystwo Funduszy Inwestycyjnych “Korona" SA. In 1999 - 2001 he was Investing Director - Member of the Management Board of Zurich Powszechne Towarzystwo Emerytalne SA. In 2001 - 2005 he worked for VIVID.PL S.A. as Finance Director - Member of the Management Board and then its President. In 2004, investment adviser in Erste Securities Polska S.A. Between 2005 and 2007 - investment adviser in Towarzystwo Ubezpieczeń Allianz Polska SA and Towarzystwo Ubezpieczeń Allianz Życie Polska S.A., and investment adviser - fund manager in Towarzystwo Funduszy Inwestycyjnych Allianz Polska S.A.
From 2007 to 2008 he was with AZEN Sp. z o.o., from December 2007 to April 2008 as President of its Management Board. 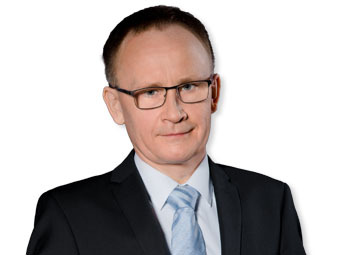 In 2009: investment adviser in AXA Towarzystwo Funduszy Inwestycyjnych SA, Warsaw. He has been on supervisory boards of a number of companies. Tomasz Mosiek has submitted a statement that he meets the independence criteria specified in the Act of 11 May 2017 on statutory auditors, audit firms and public oversight. Konrad Hernik is a graduate of the Academy of Economics in Cracow, faculties: Organization and Management and Marketing and Management. He also completed a post-graduate course in Financial Mathematics at the Jagiellonian University in Cracow. Since 2018, President of the Management Board of Buma Factory Sp. z o.o. Sk., Cracow in the Buma Group, responsible for strategic and operational management. Since 2017 he has been Vice President of the Management Board of Automotive Experts & more Sp. z o.o., Cracow, responsible for the areas of strategic management, finance management, pursuit of synergies, optimization of processes, mergers and acquisitions. From 2004 to 2017 he was involved in Armatura Group: in 2004 - 2016 as President of the Management Board in Armatura Kraków SA, responsible for strategic and operational management, finance management, building and development of the corporate group. In the companies within Armatura Group he was President of: Armatoora SA (2009-2016), Armagor SA (2009-2014), Arm Property Sp. z o.o. (2015-2016), Armatoora SA i wsp. Sp. k. and Vice President & Treasurer in KFA USA Inc. Elgin USA (2004-2005). Between 2001 and 2004 he was Economics and Finance Manager in Excellent SA and Excellent Profile S.j., responsible for the corporate finance management and support for operating activity management. From 2000 to 2001 in Jagiellonia Group: Managing Director in the publishing house Jagiellonia SA and Director of Jagiellonia Inwestycje Sp. z o.o. 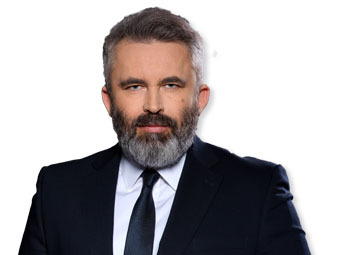 In 1998 - 2000 he performed the function of Finance Director of Instal Kraków SA, and in 1997 - 1998: Head of the Bank Portfolio Management Team in the Capital Investment Department of Bank Przemysłowo - Handlowy in Cracow. Earlier, from 1993 to 1997 he worked for Penetrator Group, Cracow. Since 2017 Konrad Hernik has had a seat on the Supervisory Board of Invena SA in Gdańsk. Earlier he was on supervisory boards of: Aquaform SA (2014-2016), Armaton SA (2013-2015), Armadimp SA (2012- 2014), Krakchemia SA (2007 - 2010), Maryland Sp. z o.o. (2001 - 2004), Energopol Południe SA (1998 - 2000), Polnord SA (1998 - 1999), Bankowe Towarzystwo Leasingowe (1998). Since 2018 Konrad Hernik has been 2018 Director of the Małopolska Region of the Association of Polish Economists having its registered office in Warsaw. In 2013 - 2017 Vice President for Commerce of the Chamber of Industry and Commerce (IPH) in Cracow. Konrad Hernik has submitted a statement that he meets the independence criteria specified in the Act of 11 May 2017 on statutory auditors, audit firms and public oversight. Member of the Supervisory Board of ELEKTROBUDOWA SA since 18 December 2018. A graduate of the Electrical Faculty and the Business School of the Warsaw University of Technology. A sole proprietor under a business name: Partner. In 2010-2016 he was in the governing bodies of a listed company PGE Polska Grupa Energetyczna S.A., the biggest company of the Polish power sector. As Vice President Operations and Trade he was responsible for the operating activity of PGE Group in the scope of coal mining, conventional power plants, coal-, gas- and biomass-fuelled heat and power plants, electricity distribution, renewable energy. He was involved in preparation, development and implementation of enterprise management support systems (ERP). 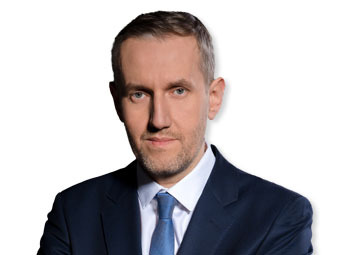 He has worked for Polish and foreign energy companies on the biggest projects related to privatization, restructuring and development of the power sector. Expert of the Council of European Energy Regulators (CEER). W latach 2003-2004 współautor Krajowego Planu Redukcji Emisji. In 2003-2004, a co-author of the National Emission Reduction Plan. Earlier, as Director for Power Industry and Director for Strategy and Development in Elektrim he was responsible for finance arrangement and construction of Pątnów II power plant, acquisition of energy assets, development and implementation of processes of restructuring the companies in Elektrim Group and energy portfolio management. In Arthur Andersen he was involved in power sector issues and coordinated related projects. W firmie Arthur Andersen zajmował się sektorem energetycznym i koordynował projekty w tym obszarze. He managed the processes of privatizing companies from the power sector for foreign investors and the State Treasury. He has worked for Westinghouse, New York State Electric & Gas and Apache Corp. He was on the supervisory boards of: EM Yachts, Zespół Elektrowni Pątnów-Adamów-Konin, Elektrim Megadex, Elektrim-Volt, Polska Grupa Energetyczna - Chairman of the Strategy and Development Committee, Member of the Audit Committee, Vice Chairman of the Supervisory Board of PGE Górnictwo i Energetyka Konwencjonalna, Chairman of the Supervisory Board of PGE Dystrybucja. Grzegorz Krystek has submitted a statement that he meets the independence criteria specified in the Act of 11 May 2017 on statutory auditors, audit firms and public oversight. Member of the Supervisory Board of ELEKTROBUDOWA SA since 9 November 2017. A graduate of the Cracow University of Economics, Faculty of Finance and Banking, and the alumnus of a post-graduate course in the School of Entrepreneurship and Management of the Cracow University of Economics, Faculty of Finance and Accounting. He has also completed an Executive MBA course at Oxford Brookes University/Polish Open University and the ICAN Institute - the Strategic Leadership Academy programme, Warsaw, and a number of training courses in the field of management and finance. He started his career in Optimus-ic SA (now Comp SA) where he was Planning Manager in 1997 - 2000. In 2000 - 2004 worked for Novitus SA (now Comp SA) as Financial Controller and in 2004 - 2010 for Wola Info SA (now Devoteam SA) as Controlling Director. Since 2008 he worked for Noblestar Polska sp. z o.o. where he was Finance Director - Member of the Management Board until 2010. In 2010 - 2014: Finance Director of Benefit Systems SA. Since 2011 he has been on the Management Board of Fitness MCG sp. z o.o. while since 2014 Finance Director of Calypso Fitness SA. He has been on supervisory boards of a number of companies. At present he is Vice Chairman of the Supervisory Board of Amica SA, Member of Supervisory Boards of Vistula Group SA and Medicalgorithmics SA and Chairman of the Supervisory Board of EFC Fitness SA. 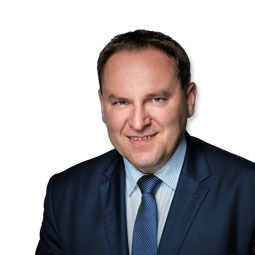 Artur Małek has submitted a statement that he meets the independence criteria specified in the Act of 11 May 2017 on statutory auditors, audit firms and public oversight. Member of the Supervisory Board of ELEKTROBUDOWA SA since 22 May 2014.